Today we're continuing our look at some of the Big Bars you'll find in your local supermarket. 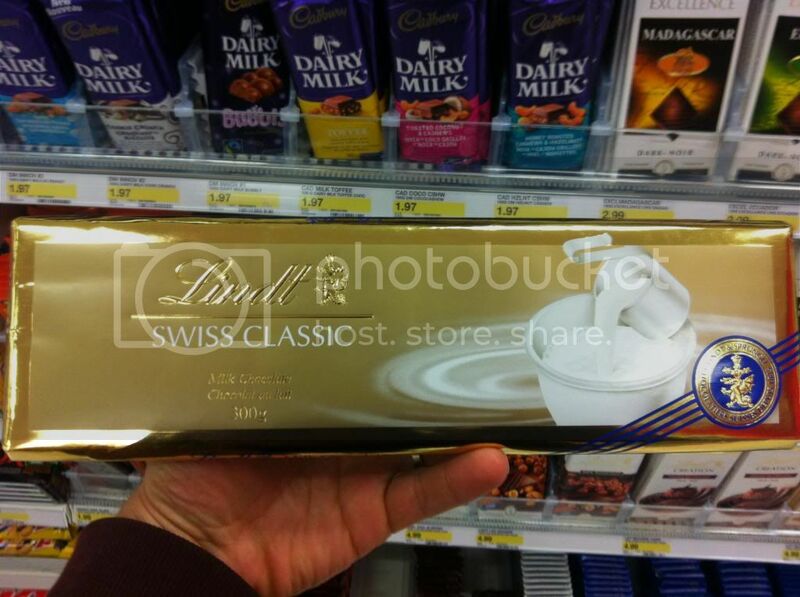 These are the "premium" chocolate bars that you'll see beside the everyday chocolate bars. 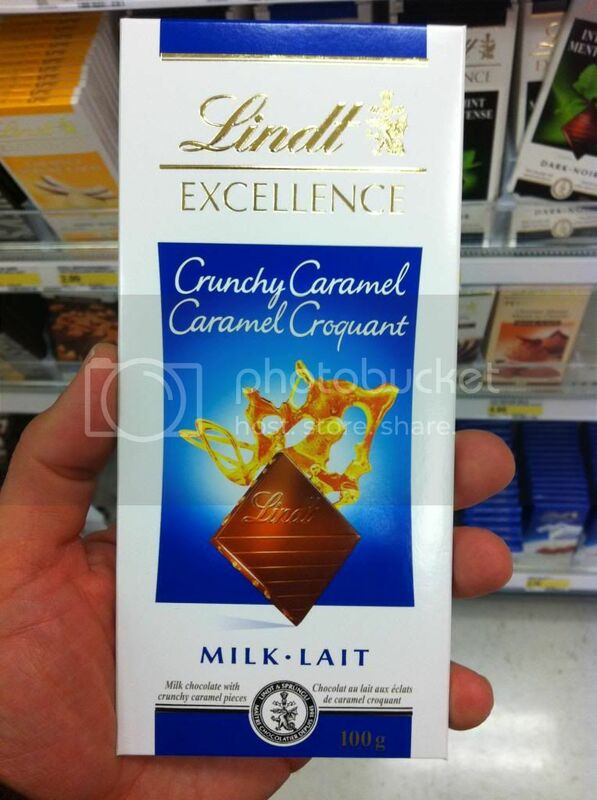 Here in Canada Lindt is undoubtedly the best represented company in the Big Bar section. There are A LOT of Lindt chocolates here, and that is probably because they really don't have any standard size chocolate bars. 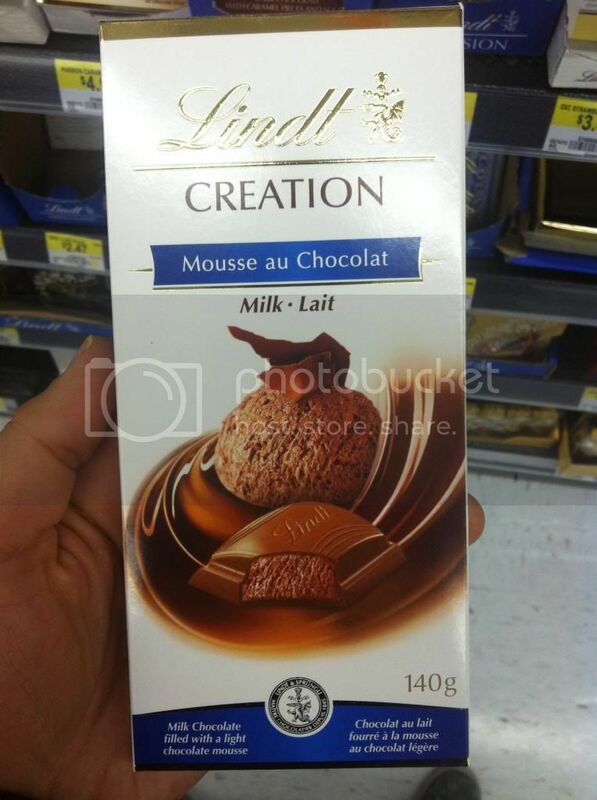 Besides their copious entries into the seasonal chocolate realm if you want to eat some Lindt chocolate going into the Big Bar area of your store will be the only way to do it. 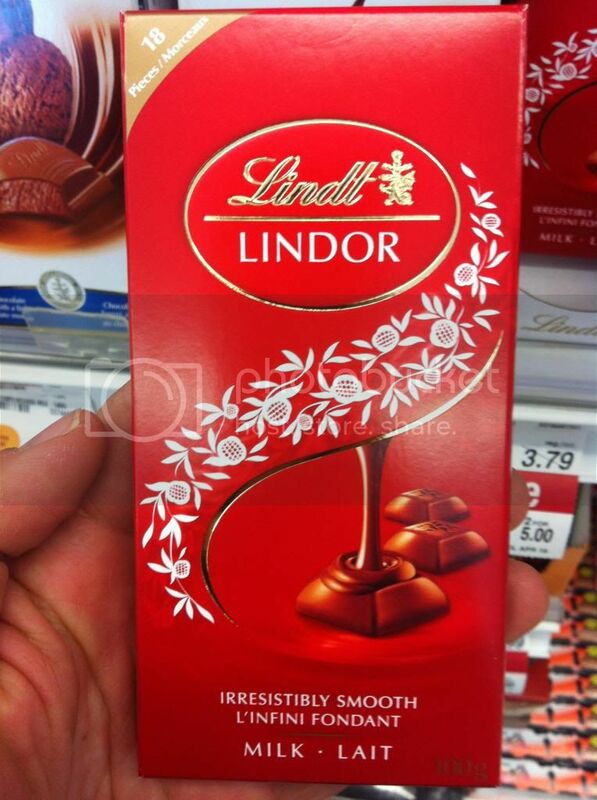 So with that said let's have a look at what Lindt has to offer. And we'l start with the standard straightforward Swiss Classic line. 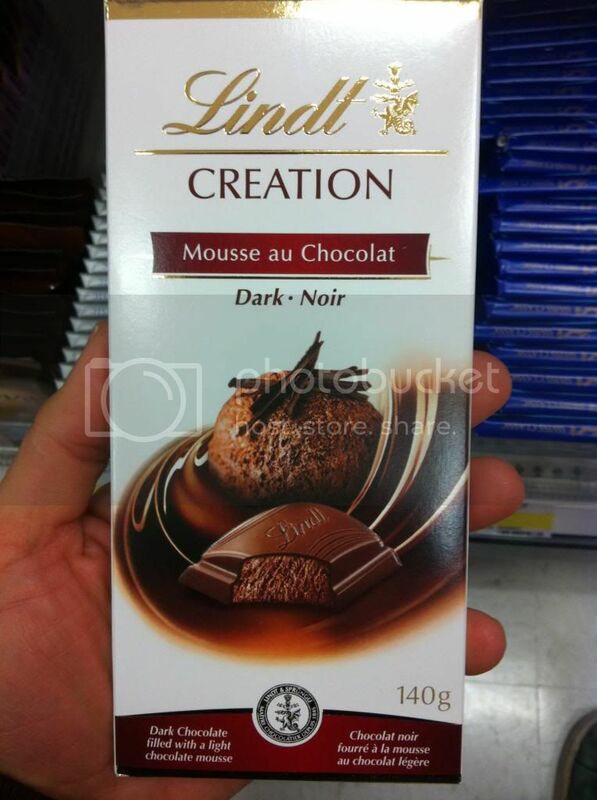 These three bars under the Classic branding form what I'd say is the core for Lindt's line up. 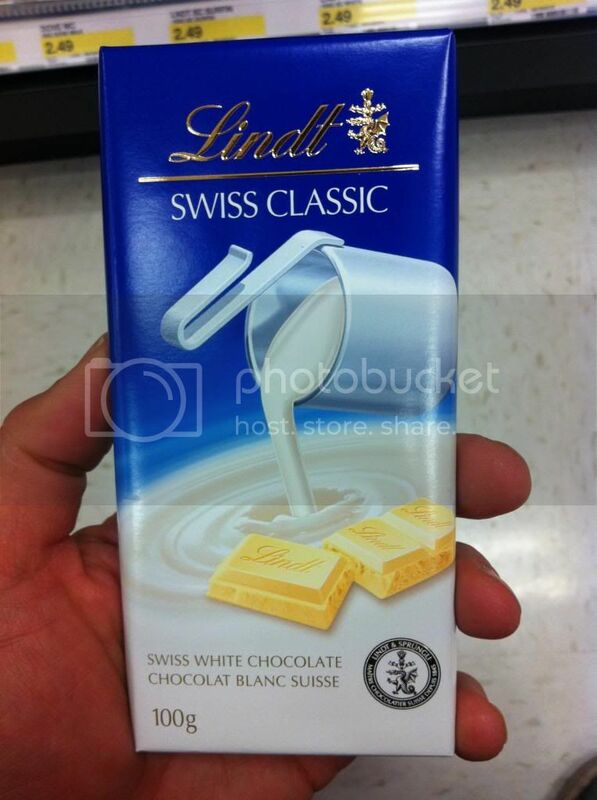 Milk chocolate, milk chocolate with hazelnuts, and white chocolate. Its simple direct packaging and I like it, but there is one fun alternative available as well. 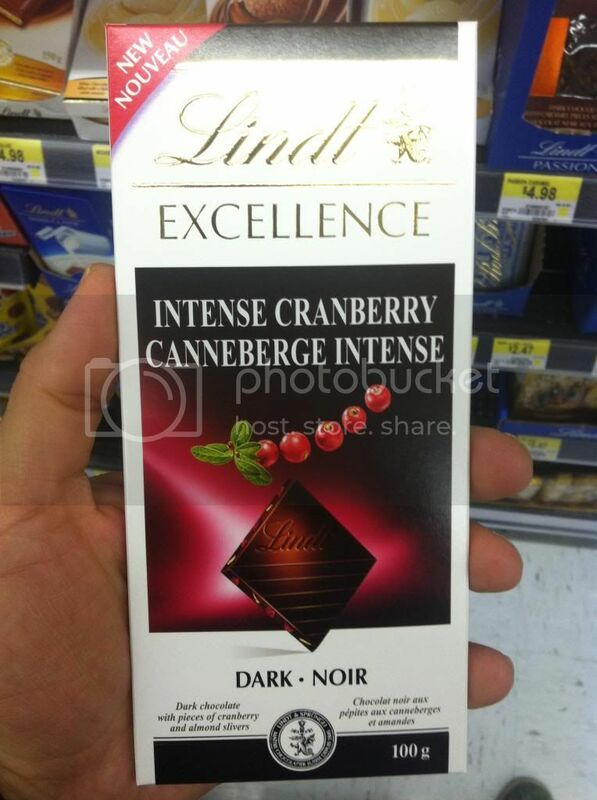 Here we have the Lindt standard dark chocolate packaging, and this is my absolute favorite package in their line. It looks like something I might find a golden ticket inside. Just elegant, and sophisticated. Almost like a bank note, or some prestigious certificate. Nice job on this al around. 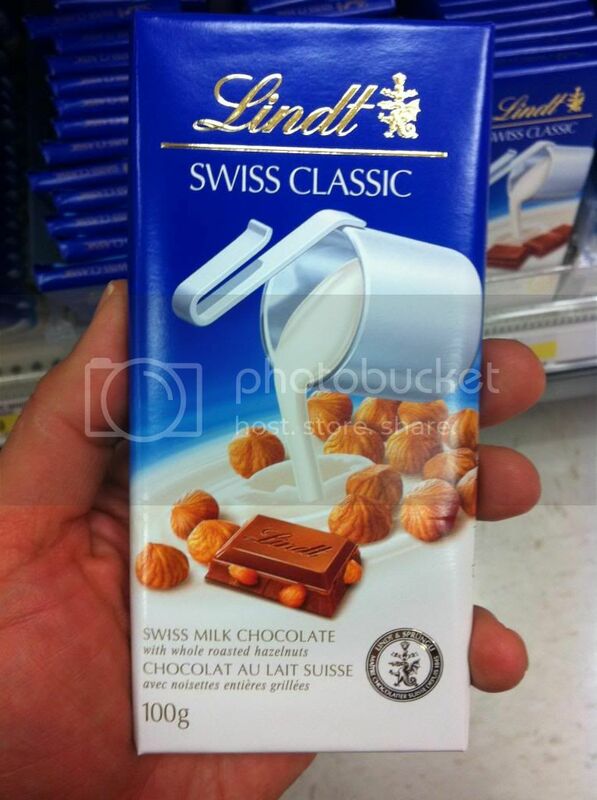 The milk chocolate, and milk chocolate with hazelnuts also both come in a 300 gram size. Another good idea. I like the fact that this also makes no bones about the nuts. These are whole roasted hazelnuts; this is serious business. 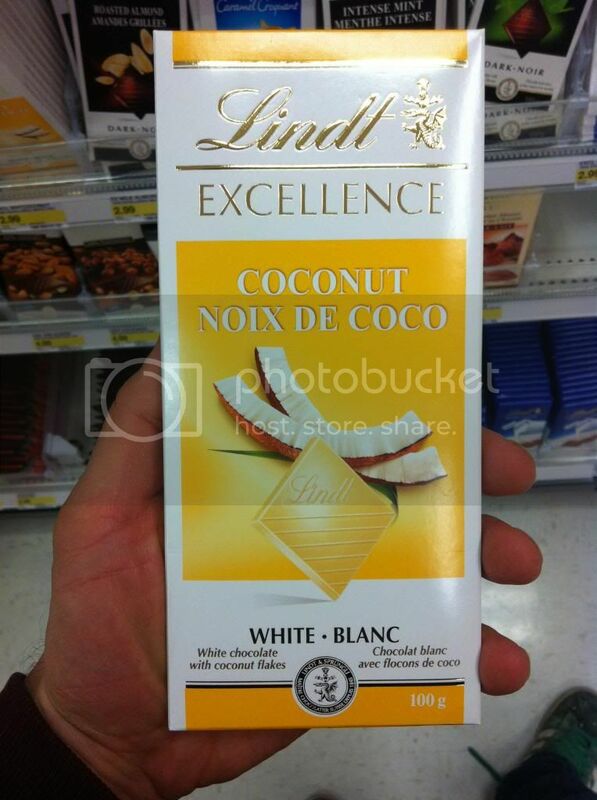 Next we'll move onto the Lindt main flavor line. These bard fall under the Excellence brand and will certainly have some of most people favorites. I'll say there are so many here that at the least you can't look at them and not be fascinated to try some of them. 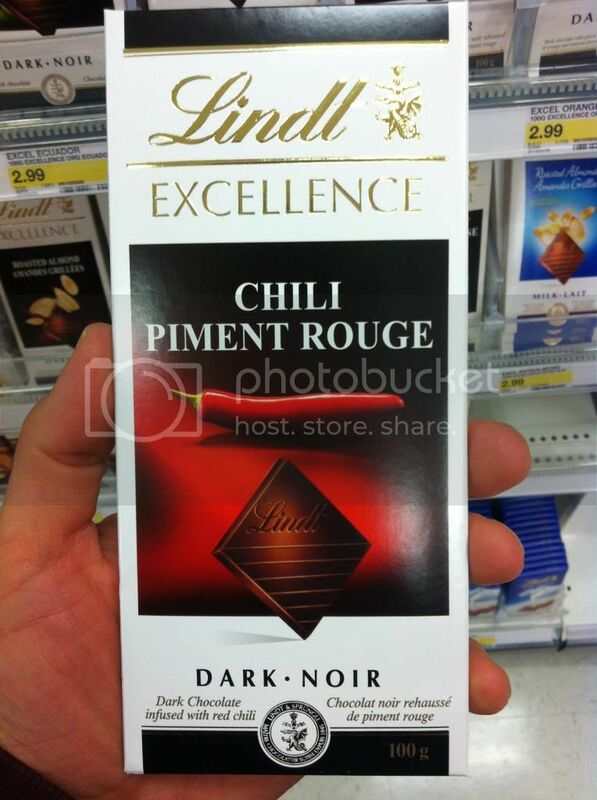 I mean we've probably all tried Mint chocolate, but how many of us have delved into chili chocolates? So here we start with the simplest of bars. 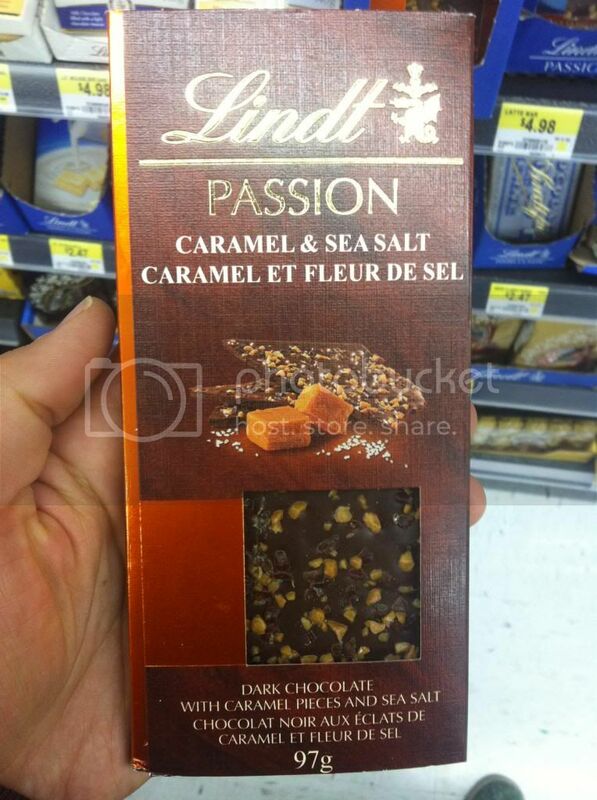 Extra Creamy Milk Chocolate, as well as Milk and Dark Almond, and Crunchy Caramel. 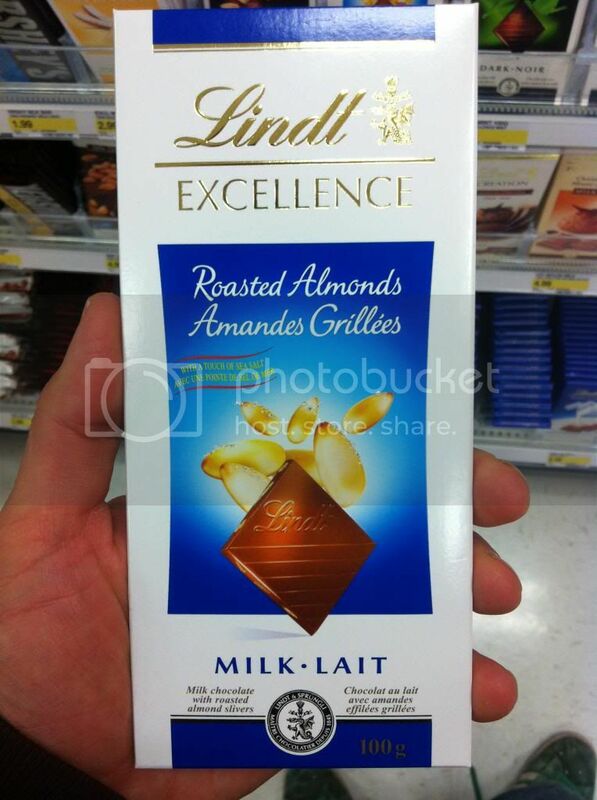 Note the packaging, including color and font differences between the Milk and Dark Roasted Almond varieties. 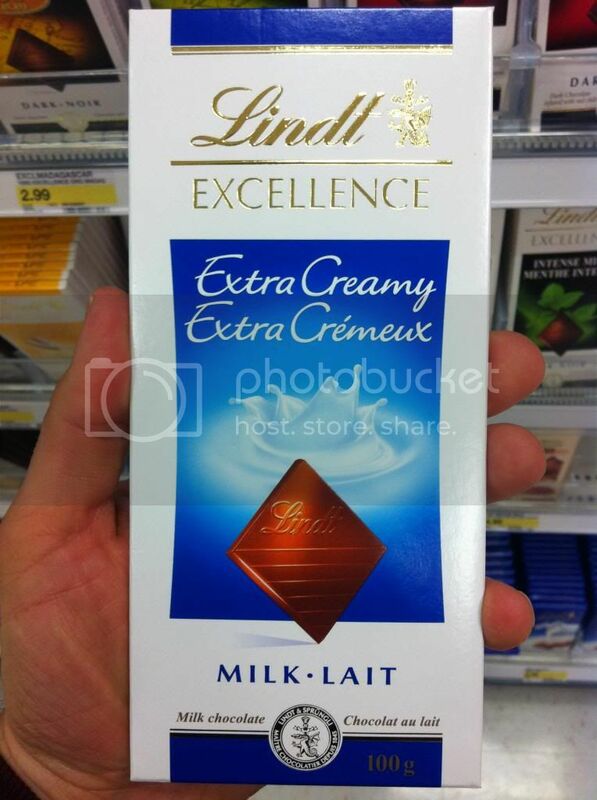 And I have to say I love the way the splash the crunchy caramel behind the bar on the label. Very appealing. Very eye-catching. Other than the mint these flavors all heavily feature a sour or tart element. 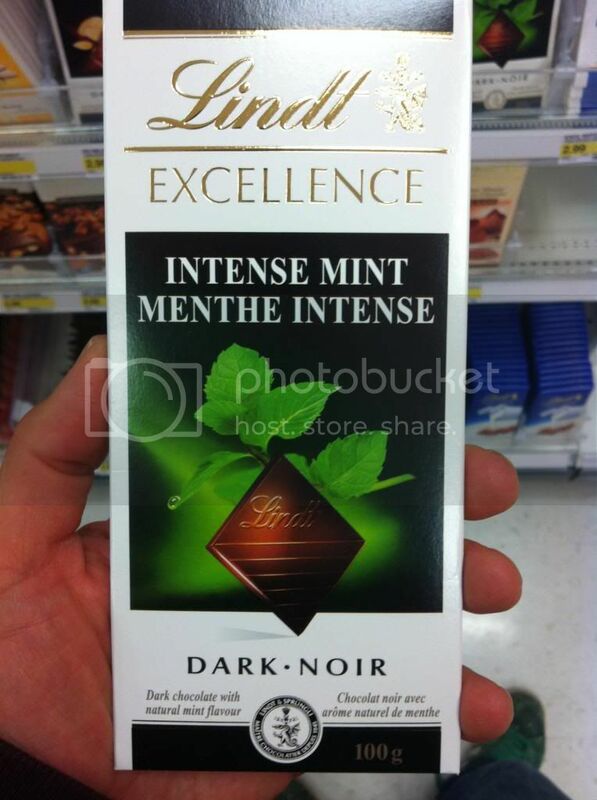 And Mint is intense in its own way.I'm interested that they don't have a Lemon or Lime in here, I bet they would do well among the Cranberry and Orange. Here are a few other very interesting flavors. 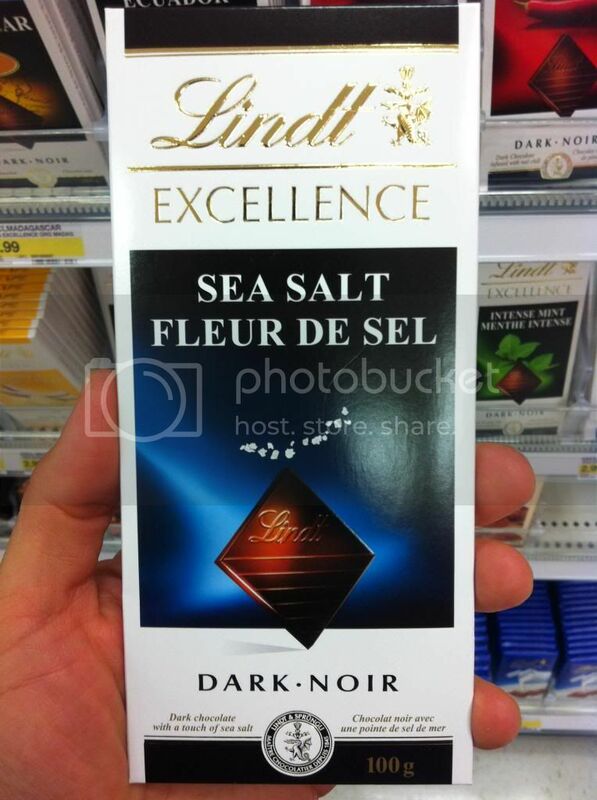 I'm definitely a fan of the Sea Salt. No I haven't tried it before, but its one of those things that I bet would be great. Like remember when there wasn't such a thing as Sea Salt (or Salt and Pepper) flavored chips? When they were first introduced I know I thought it was crazy... but then once I tried it, everything came crashing into focus. Of course its a great idea. And I suspect balancing the sweet chocolate with a salt would work too.White chocolate with Strawberry is also a great idea. 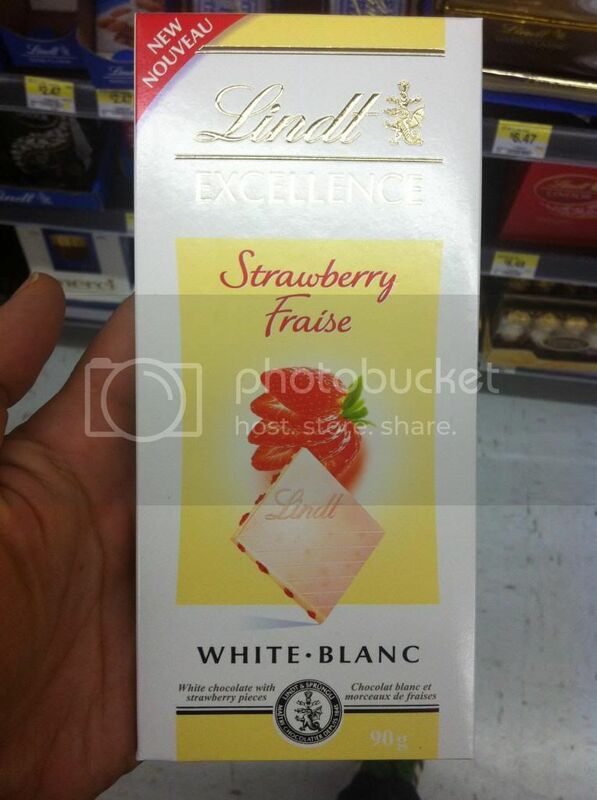 Strawberry goes great with chocolate and is hardly ever featured in bars. Now here's a case where I should have read the back of the packaging. 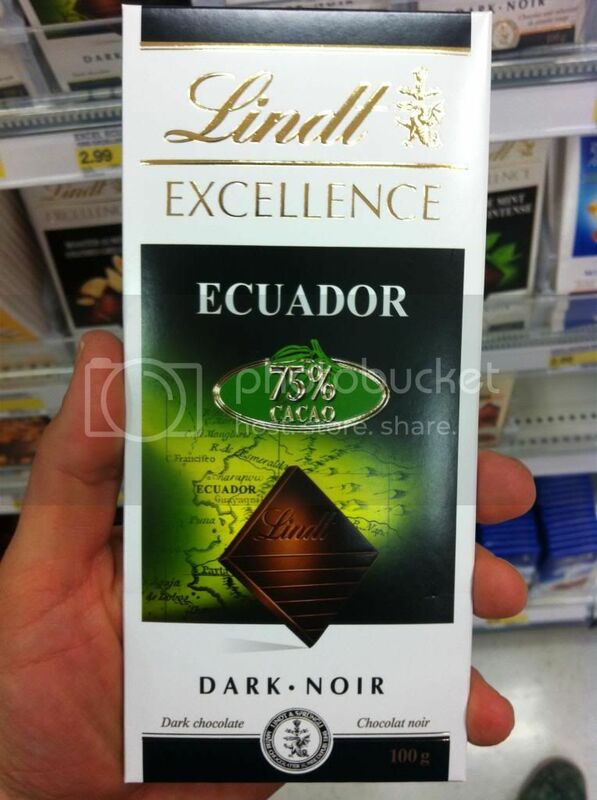 I haven't confirmed it but I have to assume that these chocolate are actually from Ecuador and Madagascar. What that means specifically to the taste.. well I don't know. 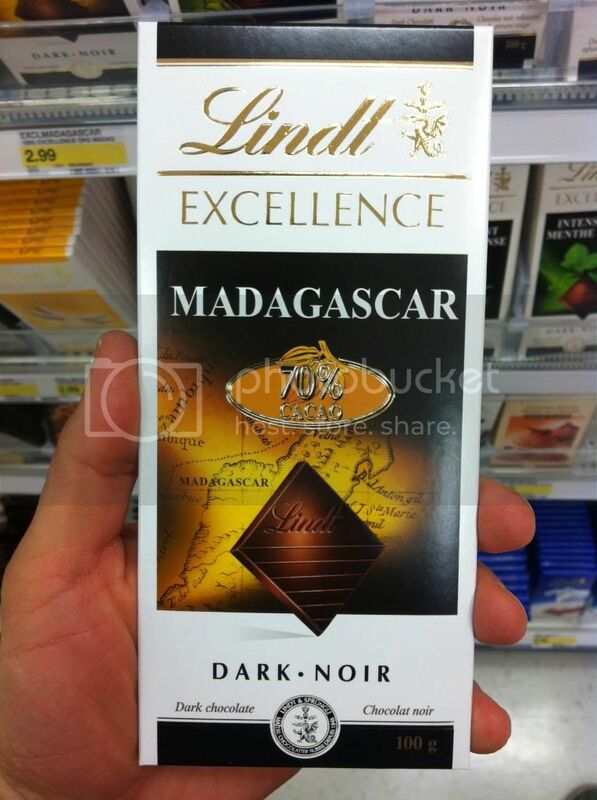 They both have rich soil and are known for Coffee and other delicious treats Although I didn't think there was too much industry on Madagascar I would suppose they've got good crops of cocoa. I'm not sure... do you think people out there, I mean the connoisseurs would have a particular favorite country? I'm certainly not educated enough on this stuf to know. 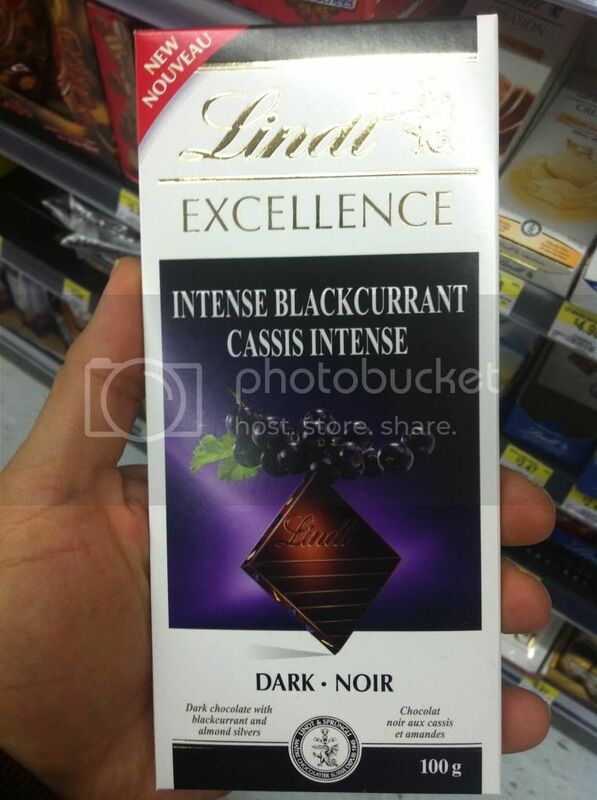 Moving down the Excellence line we finally come to the selection of Dark Chocolate. 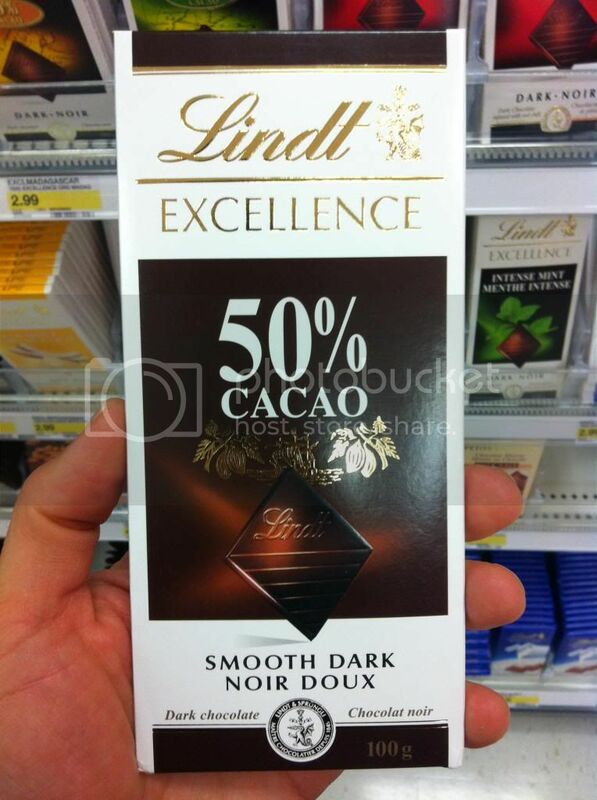 Well the stand alone dark chocolate at least. 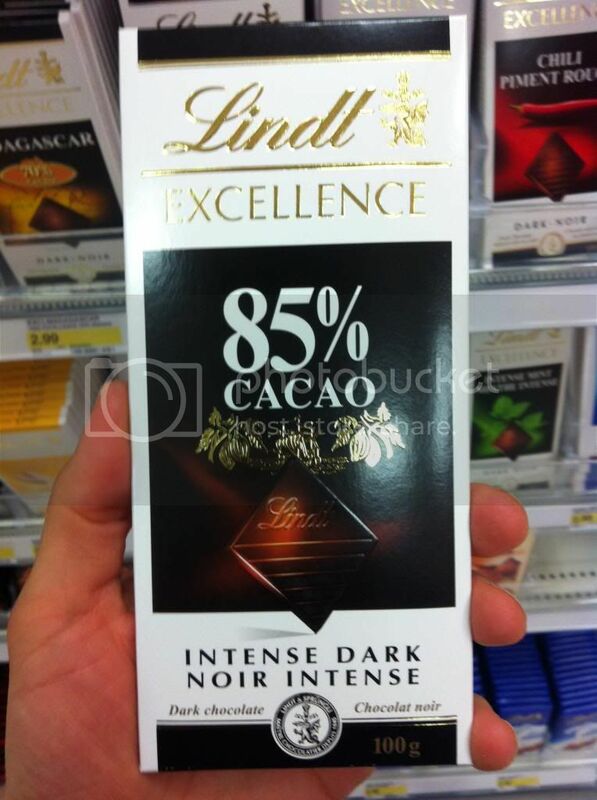 Doesn't 90% seem like overkill on the Dark Chocolate? 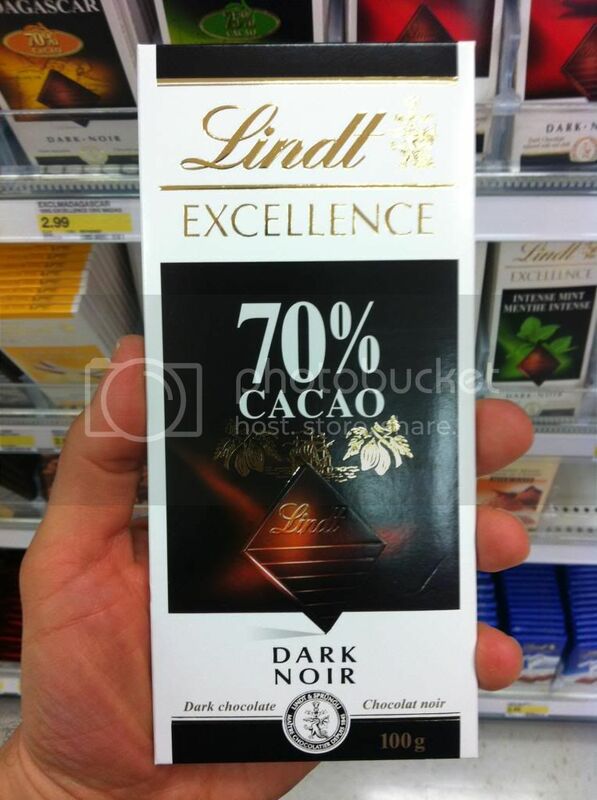 I know my mom eats a square of dark chocolate everyday for her... is it heart or blood pressure... anyhow there are people out there who must want this or they wouldn't make 4 different skus for it. 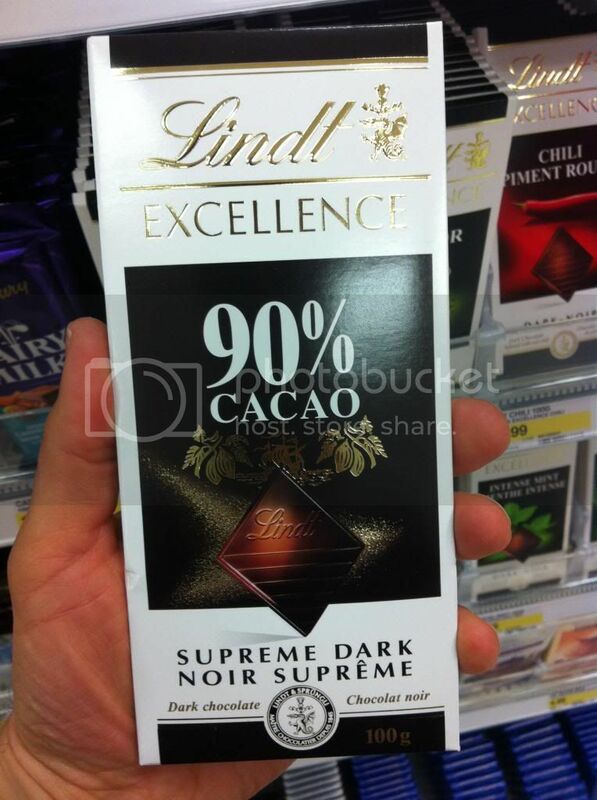 Still, I feel so out of the loop on the Dark Chocolate train that I'll have to just say this seems like an awful lot, but I suppose they wouldn't keep it around if it didn't sell. 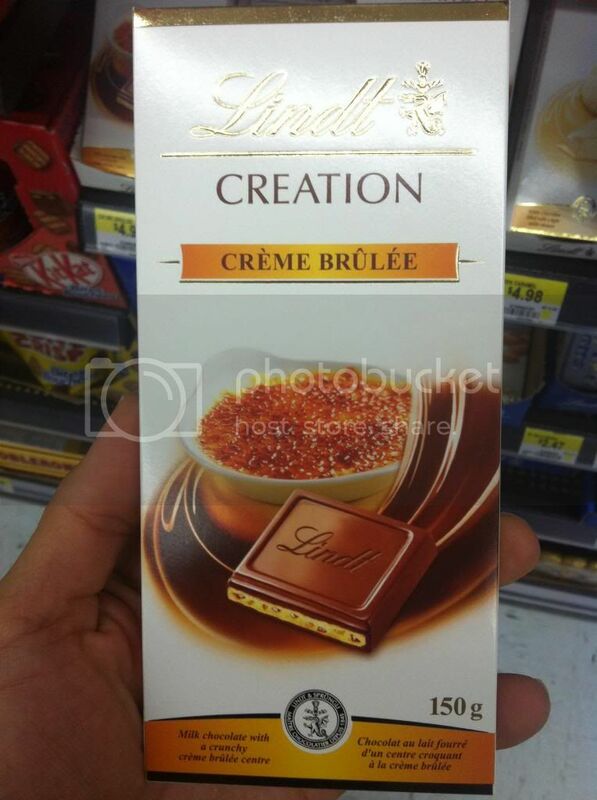 Lindt's next biggest line up is their Creation brand. 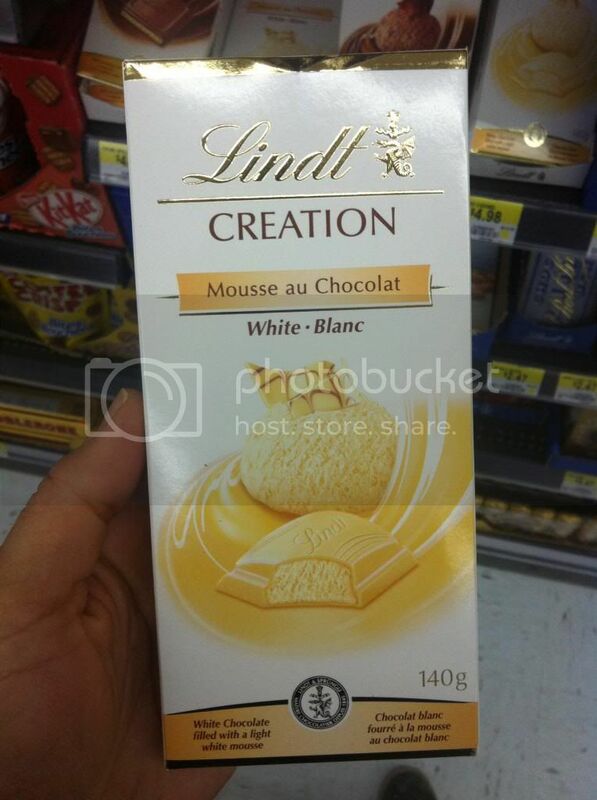 Everyone loves Chocolate Mousse right? 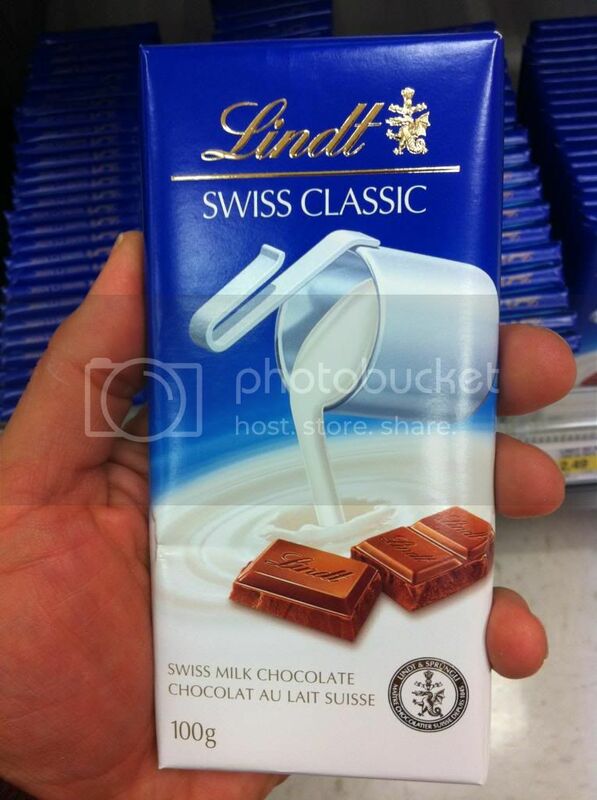 I have actually had the milk chocolate version of this bar, and I have to say, it is absolutely fantastic! 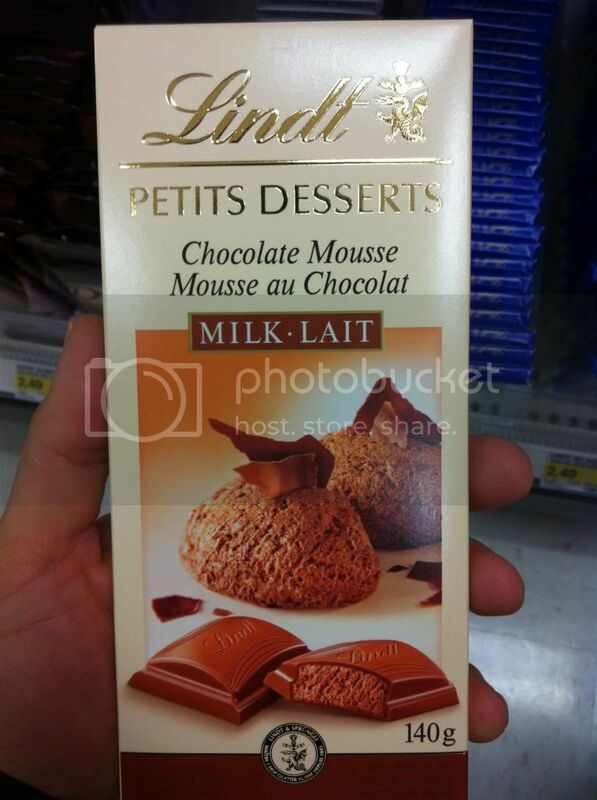 Interestingly the Milk Chocolate Mousse also comes in an alternate packaging under the Petit Desserts brand. My guess is that this was an old brand name since it was the only iteration in the line up. Two more entries into the Creation line round out the selection. I like that these two exist. Creme Brule is a great dessert that doesn't get enough press. People even know Flan more than Creme Brule and I'd put it up against that garbage anyday. Even most Dulce Leche or Tiramisu cakes really. 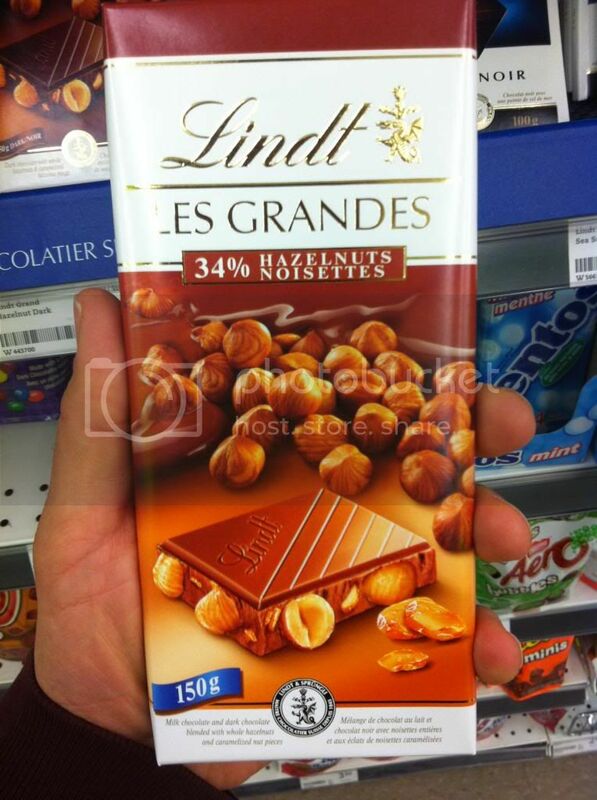 Moving on to the last few imprints from Lindt we come to the 150 gram Les Grandes line. 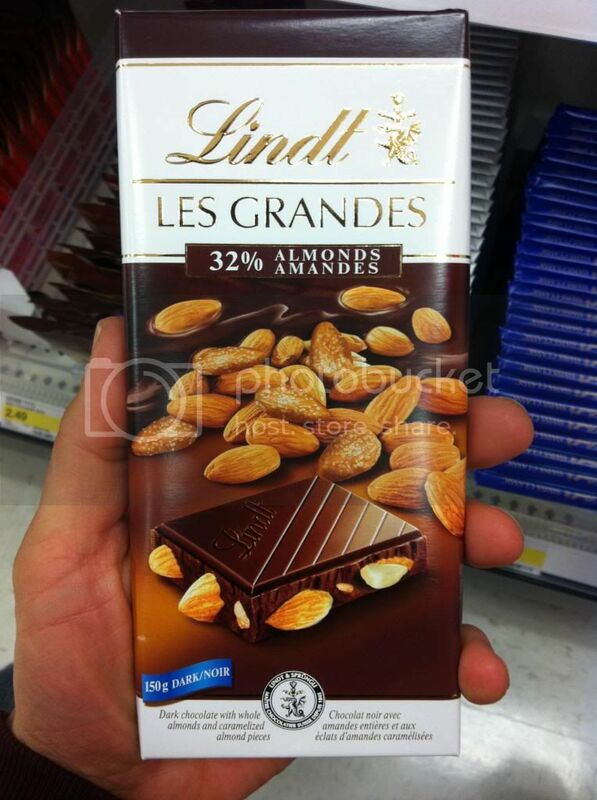 Here we find Almond as well has Hazelnut Milk, and Hazelnut Dark. 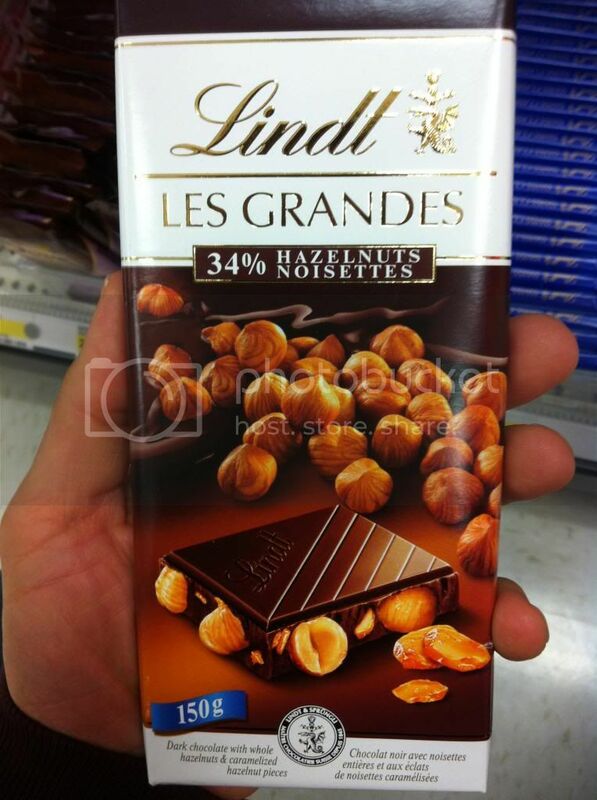 These are Grandes not only because of their size, but also the amount of nuts. So this is where you go if you find your Swiss Classic is a little too light on the nuts for your tastes. 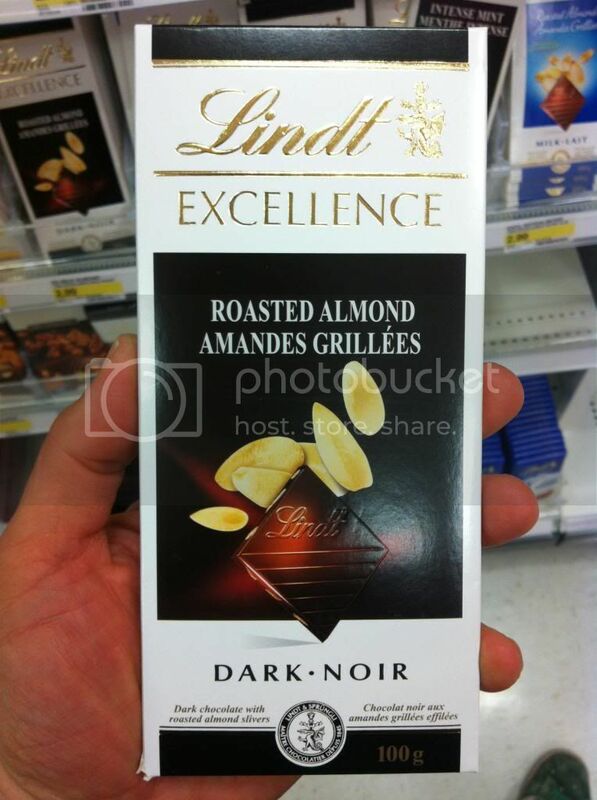 These bars seem like they're for serious chocolate and nut fanatics. Onto the Passion line up. Now these two have me a little baffled. They are complicated blends, especially the Nougat Latte Macchiato and to me at least the packaging suggests that this is for a different audience than the other bars, but why exactly? 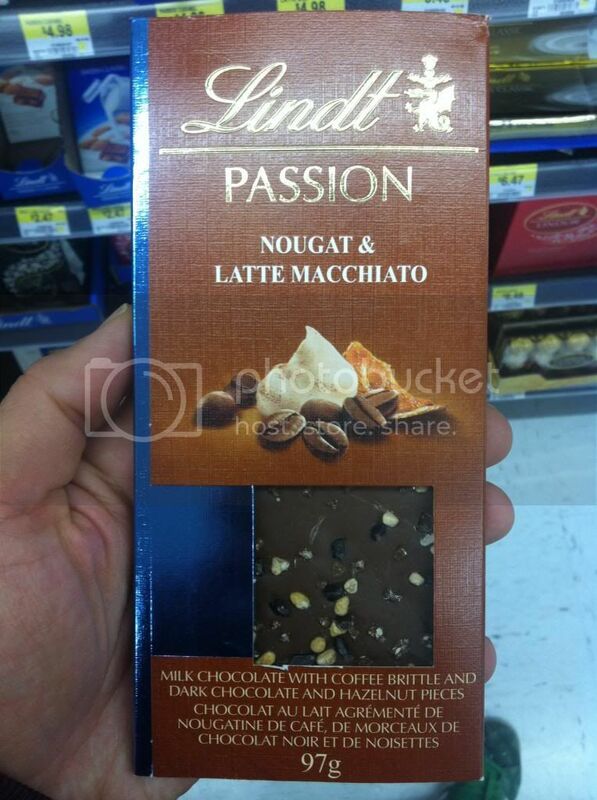 I mean did Lindt want something more... Starbucks friendly? more earthy? More refined? 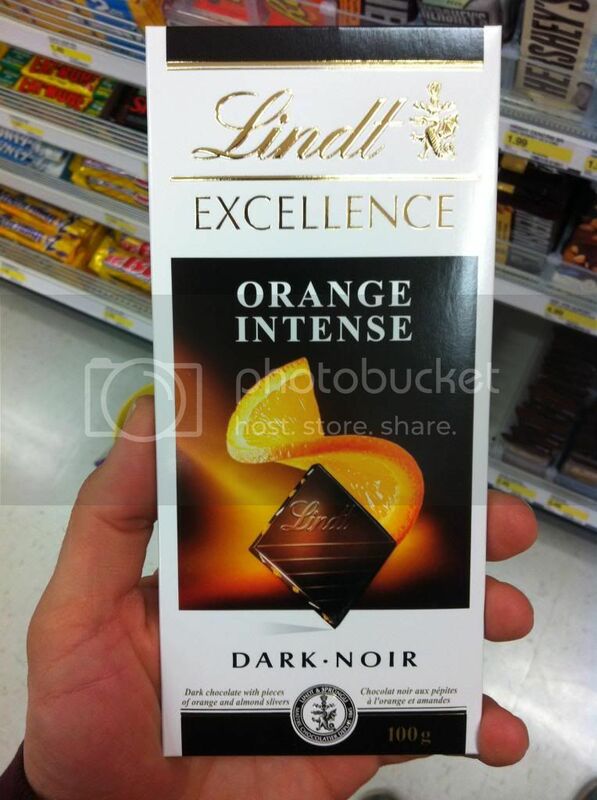 We all know they've got great chocolate, it seems to me this branding is all about marketing. That said, I wonder if the look might throw some people off. 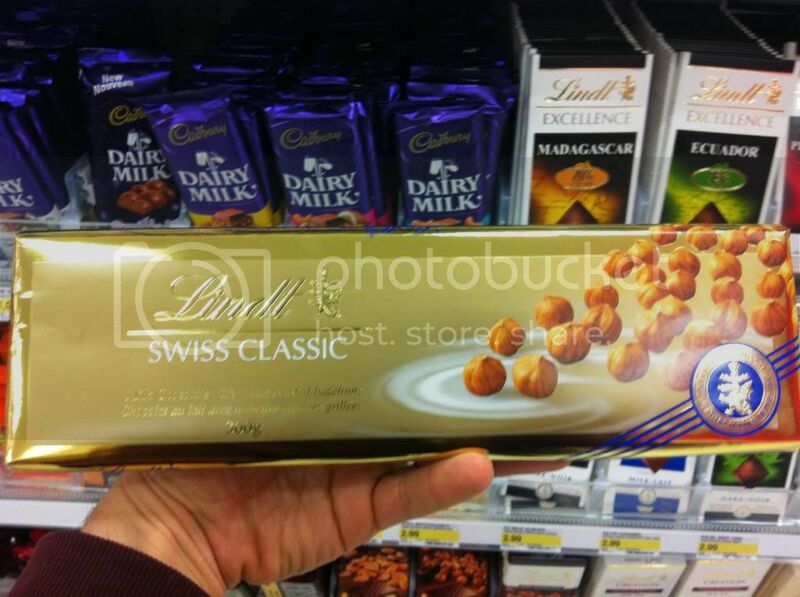 Actually seeing the bar is a bit weird for Lindt, and the colors are sure to rub the average supermarket consumer wrong. Maybe it really is designed for the coffee shop... that's all I can think of here. 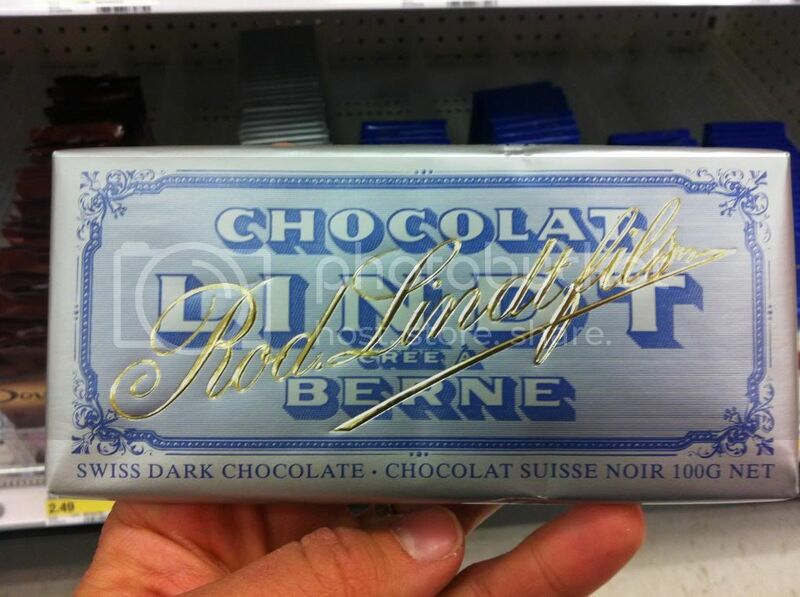 Finally we come to the last entry into Lindt's extensive line up of big bars, and it is of course the bar form of Lindt's most popular confection the Lindor. I'd be interested in seeing some of the other Lindors transformed into bars as well, but for now this will have to suffice. Could this be a case of over-saturation? It seems like a lot to me, but hey I suppose they wouldn't keep it up if they didn't keep selling. I'll be back soon with another look at the Big Bar Line Ups.